Nestled on the south-eastern banks of the river Thames, Woolwich is perfectly placed to offer residents quick access to London’s wealth of opportunity without the hustle and bustle of city living. Recent regeneration initiatives have provided a new lease of life to this historic destination in south-east London. Woolwich has a rich history which dates back to the Iron Age and it remained a relatively small settlement until beginning of the 16th century, when it began to develop into a maritime, military and industrial centre. 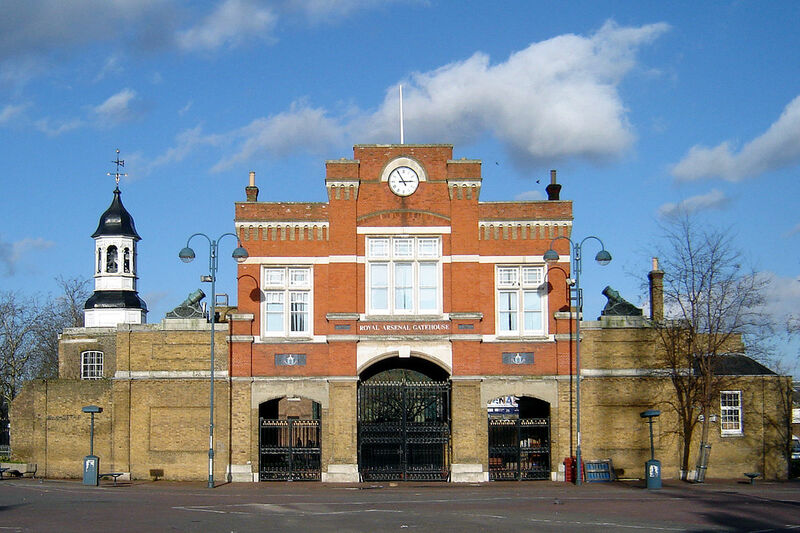 Since this time Woolwich has been home to many maritime and military establishments including: Woolwich Dockyard, the Royal Arsenal, the Royal Military Academy, and the Royal Artillery Barracks. Woolwich’s large-scale regeneration scheme started back in 2003 with a focus around the area close to the Royal Artillery Quays. This was swiftly followed by the new town centre square which is overlooked by a futuristic development above a giant Tesco. The population of Woolwich is fast approaching 65,000 with the average age of a Woolwich resident currently at around 31 years old. As you may expect from an area where the majority of residents are in their early to mid-30s, Woolwich has become a thriving commuter town. Woolwich is embarking on a new chapter as the capital’s next landmark cultural destination. As of October 2018, the Royal Borough of Greenwich’s ambitious plans to create an arts destination in Woolwich’s Royal Arsenal moved a step closer. Planning permission was granted for the first phase of the multi-million pound restoration of the historic buildings, once complete it will create a 15,000sqm complex of theatres, dance studios and places to eat. This landmark destination for the arts is due to open in 2020, with many big-name tenants including, Punchdrunk the world-renowned theatre company, Chineke! Orchestra Europe’s first majority black and minority ethnic orchestra, Protein Dance and the Woolwich Print Fair, are all poised to make the Woolwich Creative District its home. There are some excellent transport links which connects Woolwich with inner city London and major national rail services. London City Airport is short trip across the river Thames via the DLR for fat and convenient flights to other UK cities and major European cities. The forthcoming Elizabeth Line (previously known as Crossrail) service will further enhance the public transport offering for residents of Woolwich. Once introduced the Elizabeth Line will significantly reduce travel times into central London, with services taking just 8 minutes to reach Canary Wharf, 14 minutes to Liverpool Street, 21 minutes to Bond Street and about 50 minutes to get to Heathrow Airport. Woolwich also has easy access to many greenspaces which includes Woolwich Common, and Woolwich Park. Greenwich Park, one of the largest single green spaces in south-east London is only a 15 minutes-drive from Woolwich. Woolwich has maintained a lot of its architectural heritage while the recent regeneration in the area has generated interest in new and contemporary properties. Luxurious new developments have gone up and has brought an increase interest from people, who may not have initially thought about living in Woolwich. Interested in moving to Woolwich? We can help, we have a number of schemes currently live in Woolwich town centre including The Regal and the soon to complete Wellington Quarter. Please contact a member of our London team on 020 3551 9900 to register your interest below. Alternatively, if you are looking to purchase or invest in a property in Woolwich, our partner company IP Global have a number of units available to buy including a selection of Help to Buy properties at Wellington Quarter, find out more information about Wellington Quarter here.